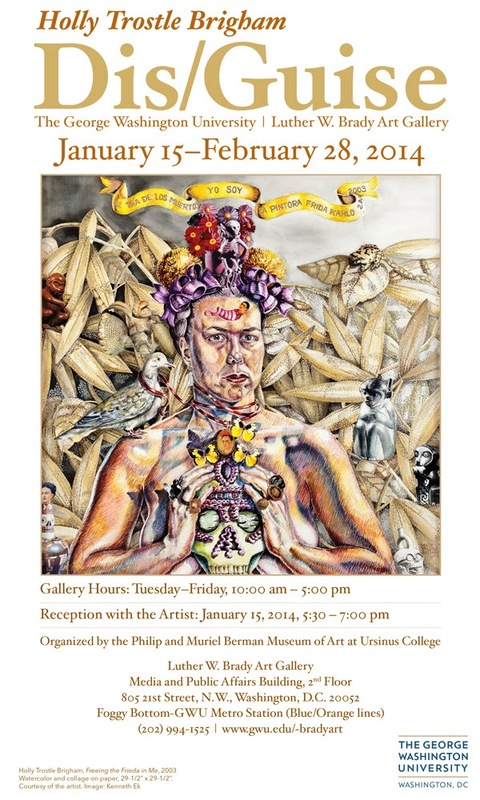 With the first exhibits of 2014, The Art League previews an event-packed year in The Art League Gallery. This month is your chance to see what’s to come in their 60th anniversary year! With “Abstract Expressionism Revisited,” artists are kicking off a year-long series of themed exhibits, inspired by the six decades of art history The Art League Gallery has seen. Each month’s exhibit will explore a different movement, with a contemporary take, with October’s exhibit bringing us up to the present day. Porter Contemporary gallery in New York, presents “Into the Void”, a solo exhibition of new works by Anne Marchand, Judith Mullen, Roy Wiemann, and Tom Wilson. “Into the Void” presents the works of four artists whose work takes the viewer into another realm. Roy Wiemann, whose paintings often include a focus on framing and presentation includes large and small color field works that embody a sense of abstraction while Tom Wilson’s 3-D works combine elements and mechanics of sound and amplification with the surreal resulting in strange and memorable still lifes. 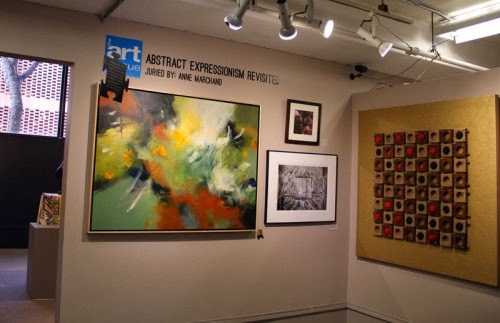 These works combined with Anne Marchand’s paintings which bring energy and movement to the exhibition through excited brush strokes and saturated colors along with Judith Mullen’s hanging sculptures and textured paintings that add elements of nature and familiarity through their sourcings of inspiration. Into the Void presents the works of four artists whose work takes the viewer into another realm. These four artists' works compliment and balance each other through color presentation and theory for a well rounded visceral effect that brings the viewer "into the void" of another world of calm yet energetic solemnity. The SELECT 2014 Art Auction Gala takes place Saturday, March 22, 2014 at Artisphere. Tickets start at $325. For additional information, visit www.auction.wpadc.org. For additional information about WPA, 36 Studios, and the SELECT exhibition and art auction gala, please visitwpadc.org. Silver Spring, MD —Washington Printmakers Gallery (WPG) and Vula Amehlo Art Development are pleased to present “South African Voices: A New Generation of Printmakers” in January 2014. This invitational exhibition features numerous hand-pulled prints by more than 30 emerging artists from South Africa. Its content seeks to bridge the social, political and economic divides and to create mutual understanding between South Africa and the United States. Although many of the participating artists have shown in South African solo and group shows, few of them have ever exhibited work outside of their country. This work transcends what is often defined as “African art” – deriving contemporary content from rural and township life or socio-political issues. Its substance defies generalization via diverse styles, techniques and subject matter. Most whose prints are included in this exhibition come from poverty-stricken remote rural communities or from the more urban townships in and around Johannesburg – areas created under Apartheid’s separate development policy. This talented group of young artists, many of whom have won major printmaking awards, is committed to giving back to their communities despite their own scarce resources. As they strive to support careers as full-time professional artists, these emerging South African artists are working part-time as gallery staff, teachers for children's art classes, art therapists, or printmaking instructors. Some have developed their own community-based studios or cooperatives, or joined printmaking studios as professional collaborative printers – printing work with William Kentridge, Wim Botha and other well-known South African artists. Vula Amehlo has organized successful exhibitions in Johannesburg and Cape Town, South Africa – both in traditional gallery spaces and in other environments. As it showcases artists who work in a range of printmaking mediums, Vula Amehlo is a fitting partner for Washington Printmakers Gallery, a cooperative organization that exhibits diverse printmaking techniques. "South African Voices" demonstrates this dynamic juxtaposition of creative thought and approach. This cross-border collaboration reveals these South African artists as highly collectable world-class printmakers. As noble representatives of post-Apartheid South Africa, significant contributors to the international art landscape, and compelling champions for creative achievement – these poignant voices must be heard. Vula Amehlo Art Development is an organization founded in early 2011. Located in Johannesburg, it promotes the work of young, emerging South African artists by holding exhibitions and by building their capacity to manage careers as professional artists through workshops and practical experience. visit vulaamehlo.wordpress.com. January 2014 marks the kickoff of the 60th Anniversary Lecture Series at The Art league! Space is limited — contact the Gallery to register for the events below. In conjunction with the Abstract Expressionism Revisited exhibit, join us for a free presentation on this important artistic movement and the artists working both locally and nationally during the 1950’s and 1960’s. Dr. Rousseau received her Ph.D. in Art History from Columbia University. She currently is a professor of Art History and Montgomery College. She has written extensively on Italian Renaissance art and Modern Art. Rousseau often curates and juries exhibits. She juried for The Target Gallery in April 2013 and was a solo juror for The Art League in October 2012. To register please call or e-mail the gallery, 703-683-1780 or gallery[at]theartleague.org, or sign up on Eventbrite.